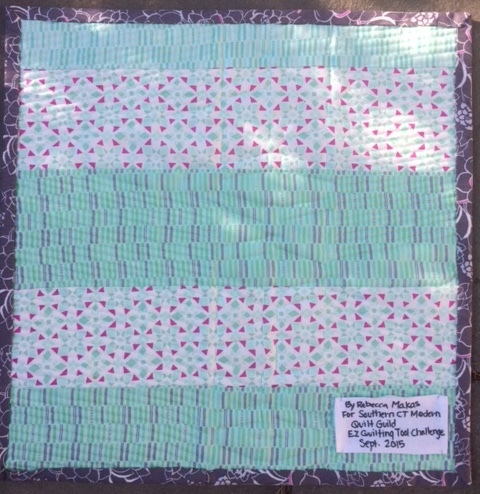 This is my entry for our the Southern CT Modern Quilt Guild's EZ Quilting Kate Spain mini-quilt Challenge. 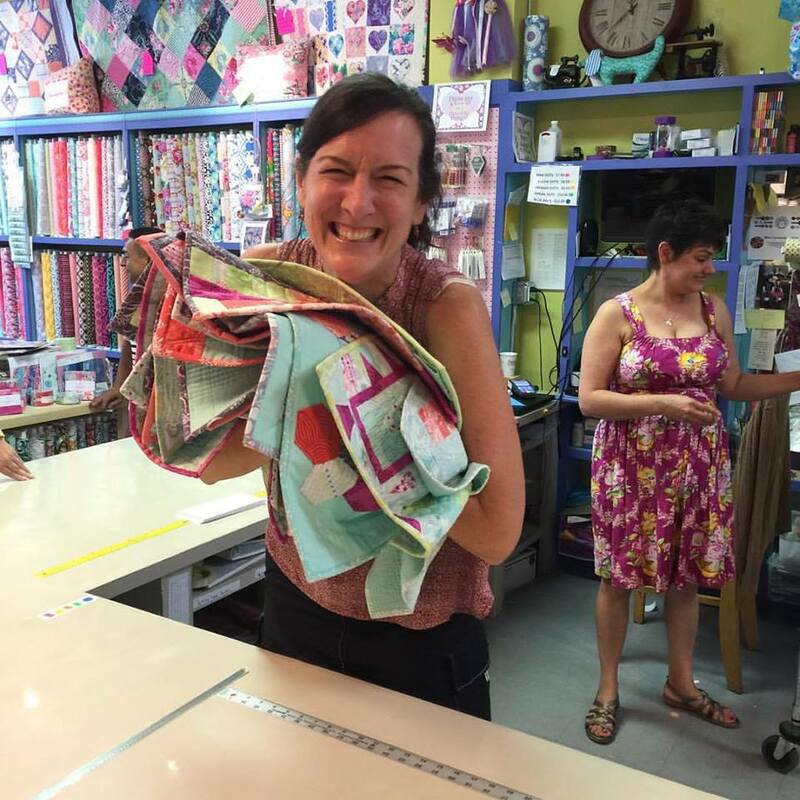 We were each allowed to choose a tool when Michele Muska came to do the trunk show at our meeting this spring. I chose the mini Fat Cat. Then we got samples of Kate Spain's new fabric line with Moda "Canyon" to use to make a 16" square mini quilt. So.Much.Fun. 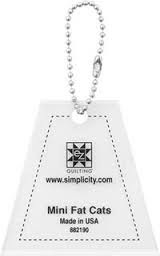 The quilts will be hung somewhere at Quilt Market (the Simplicity Creative Group's booth? ), so if you go to market and can take a picture I would be THRILLED. I am wildly embarrassed to say that this is the first quilt I've ever made that I put a written label on. I feel quilt shame. Michelle Muska told our quilt guild about the importance of labels and how meaningful they are. I realized after I handed my quilt in that I didn't put a name on it. It's actually called Musical Chairs. The two floating fat cats are supposed to look like they are going into the open background color spots. It made sense when I drew it on paper, but I'm not sure how well it translated in my actual design. My guild's president snapped this pic of Kate Spain herself at a LQS shop hop stop when she saw all of the challenge quilts made with her newest line...I think she looks pretty excited, don't you?